^Ichiro Tsuji is an absolutely amazing artist. You're right, there's just a crazy amount of stuff out there from him. I think the first thing I ever heard was the Dissecting Table 7" I picked up back when I was in college. I need to dig that thing out one day and give it another listen. My introduction was one of the Release/Relapse albums, "Human Breeding", I think. I think he had a great run from the beginning up through 2003 or so. I've not really heard any recent stuff other than the split LP with Anemone Tube, which is quite good but short. Now here is an album I've wanted for a long time, but only managed to get recently as a birthday gift. This is the 2016 reissue on Angry Love Productions, which is the label run by the current incarnation of PTV. Psychic TV has gone through a lot of different phases. On here, you get psychedelic pop songs with string orchestration, some very dark sounding soundscapish stuff, and even a couple of tracks sung by Marc Almond (Yes, the singer from Soft Cell). Overall the album is great, though I think their next album is the band's true masterpiece. As far as this reissue goes, I'm a little disappointed that it wasn't packaged with the Themes I LP also, I can't really fault this reissue overall. It's pressed on flat, centered, and quiet vinyl. The mastering is well done and allows enough breathing room for the big dynamics of the string-driven tracks. Props to PTV for a well done reissue after years of fans having to deal with substandard crap version on CD or shell out for rare Japanese editions. Hopefully we'll eventually see authorized, well done CD reissues of the first three studio albums also. ^Awesome stuff. I had no idea Marc Almond ever did anything with them. 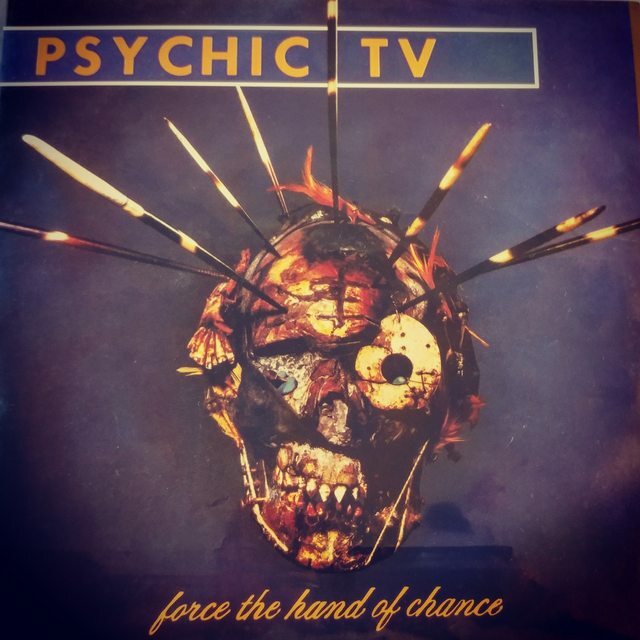 Some of Psychic TV's stuff has spiraled up in price, they have become fairly hard to find over the past few years. That doesn't totally surprise me. I hope Angry Love Prod. has more reissues planned. I was never too fond of PTV's acid house phase, but they have plenty of other stuff I like that should be back in print.